Enter Shikari have always been an exciting band. Since their storming track ‘Sorry, You’re Not A Winner’, released way back in 2007, they’ve gone from strength to strength with their distinctive mash-up of rock, metal and electronic elements blended with high energy delivery and seemingly a love of musical experimentation. 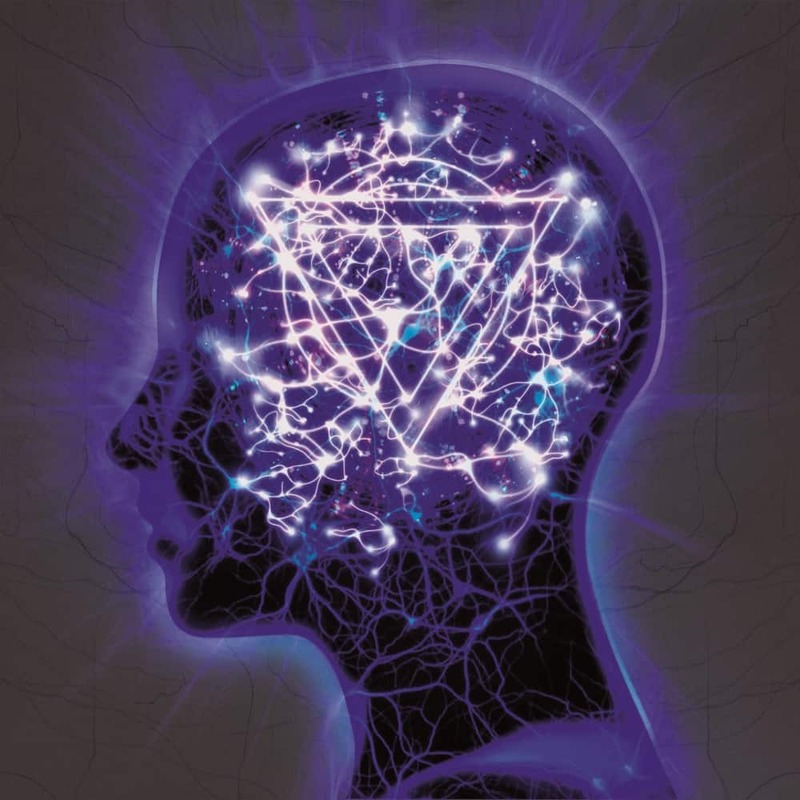 Their latest album ‘The Mindsweep’ is more of what is known and loved about the guys from St. Albans, but still sounding as fresh as the day they first pounced onto the rock scene over seven years ago. ‘The Mindsweep’ posses a very varied feel throughout the album with gentler tracks like ‘The One True Colour’ and the poignant piano driven ‘Dear Future Historians…’ opposing massive anthems such as ‘Myopia’. It’s more than enough to keep the listener engaged and interested. Opening track ‘The Appeal & The Mindsweep I’ is an uplifting call to humanity to stand up and fight against all things that are wrong and immoral, breaking into electric stabs and angsty growls of disapproval from vocalist Rou Reynolds. The chorus exists as a smooth and simple yet effective hook with the words “you are not alone” repeating over a delicious half time groove. Dubstep elements infused with huge rock guitars, and almost disco-like beats bubbling away under the surface of flowing synth lines and harmonised vocals are the recipe for the catchy single ‘The Last Garrison’. Another track already released in anticipation of the album, ‘Never Let Go Of The Microscope’ contains a harsh voice name dropping historical figures between a dreamlike vocal floating amidst the scattered staccato of verse lyrics which moves into a massive group shout section and gargantuan guitar noise. If I had to pick, the stand out track for me, personally, would be ‘Myopia’. ‘Never Let Go Of The Microscope’ flows seamlessly into this track, and has Thom Yorke-esque sounding vocals softly gliding over the opening of the track, then that signature Shikari explosion launches full steam into the forefront of the song. Opportunities for massive chants is going to make this a real big gig and festival crowd pleaser. There’s fast and frenetic parts with excellent use of ups and downs. This is going to be the track that has the crowd jumping, moving, singing and screaming along. After a few more dynamic tracks with surprisingly heavy sounds peppered in amongst intricate rock melodies and dulcet piano tones, ‘The Mindsweep’ draws to a close with the last track ‘The Appeal & The Mindsweep II’ with exuberant sounds of rousing brass instruments and encouraging speeches. There is also a cheeky restating of lyrics from possibly their most well known track ‘Sorry, You’re Not A Winner’ which sits in surprisingly well but shows huge progression set against the backdrop of their new sounds. Catch Enter Shikari on tour in the UK in February. Arts enthusiast. Bass player. A metalhead at heart but with a genuine interest in a broad spectrum of music.